I think I just stumbled across this product whilst looking for others. It was advertised on Feel Unique one day when I was shopping and I had never seen it previously. 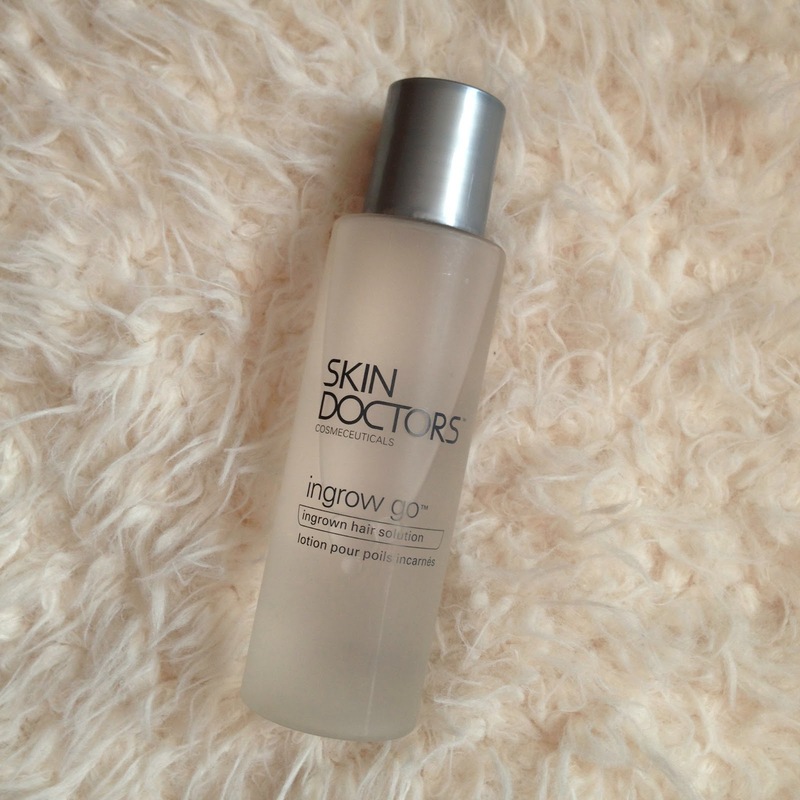 The Skin Doctors Ingrow Go is a solution that works to cure rashes and in growing hairs caused by shaving or plucking. By applying some to a cotton pad and then over the area affected, it works to remove the top layer of skin, enabling in-growing hairs to grow out and therefore reduce irritation. It can be used anywhere you are experiencing issues, even your boyfriends in-growing beard hairs if needs be. But it actually really works. Especially if you keep up with it, and apply a few days in succession to badly affected areas, it clears away any irritation, reduces redness, rashes and rash bumps and allows ingrowing hairs to grow out. I think that this is a product that every girl or guy needs to have in their bathroom, just in case. Everyone experiences in-growing hairs at some stage and this really does help to reduce and remove them ten times faster than allowing them to clear alone. If you’re prone to shaving rashes and skin irritation, you might want to give this one a look.